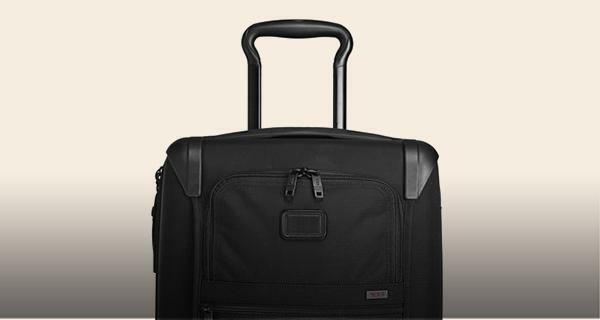 www.tumi.com.au uses the industry standard encryption protocol known as Secure Socket Layer (SSL) to keep your order information secure. 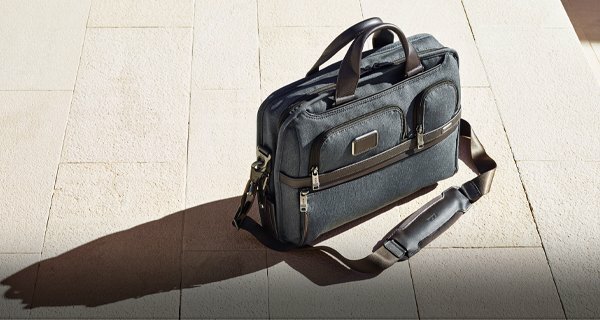 Secure Shopping Guarantee has been established for every transaction made with www.tumi.com.au. 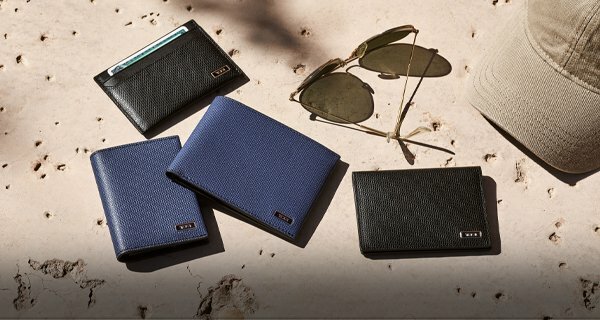 If any unauthorized charges were to appear on your credit card as a result of shopping with www.tumi.com.au, you must notify your credit card provider in accordance with its reporting rules and procedures. 1. Products, Content and Specifications. 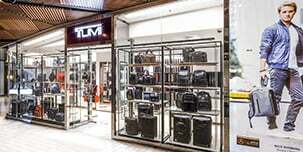 All features, content, specifications, products and prices of products and services described or depicted on this Web site, www.tumi.com.au (this "Web Site"), are subject to change at any time without notice. Certain weights, measures and similar descriptions are approximate and are provided for convenience purposes only. Luxtralia Pty. Ltd. ("LX"), which operates this Web Site pursuant to agreements with Tumi, Inc., make all reasonable efforts to accurately display the attributes of our products, including the applicable colors; however, the actual color you see will depend on your computer system, and we cannot guarantee that your computer will accurately display such colors. The inclusion of any products or services on this Web Site at a particular time does not imply or warrant that these products or services will be available at any time. It is your responsibility to ascertain and obey all applicable local, state, federal and international laws (including minimum age requirements) in regard to the possession, use and sale of any item purchased from this Web Site. By placing an order, you represent that the products ordered will be used only in a lawful manner. All videocassettes, DVDs and similar products sold are for private, home use (where no admission fee is charged), non-public performance and may not be duplicated. 4. Use of this Web Site. The design of this Web Site and all text, graphics, information, content, and other material displayed on or that can be downloaded from this Web Site are protected by copyright, trademark and other laws and may not be used except as permitted in these Terms and Conditions or with prior written permission of the owner of such material. The software and other technology components of this Web Site are copyrigthed to Tumi, Inc. and its affiliate LX. All rights reserved. You may not modify the information or materials displayed on or that can be downloaded from this Web Site in any way or reproduce or publicly display, perform, or distribute or otherwise use any such information or materials for any public or commercial purpose. Any unauthorized use of any such information or materials may violate copyright laws, trademark laws, laws of privacy and publicity, and other laws and regulations. 5. Trademarks. Certain trademarks, trade names, service marks and logos used or displayed on this Web Site are registered and unregistered trademarks, trade names and service marks of Tumi and its affiliates. Other trademarks, trade names and service marks used or displayed on this Web Site are the registered and unregistered trademarks, trade names and service marks of their respective owners, including LX and its affiliates. Nothing contained on this Web Site grants or should be construed as granting, by implication, estoppel, or otherwise, any license or right to use any trademarks, trade names, service marks or logos displayed on this Web Site without the written permission of LX. 7. Third Party Links. From time to time, this Web Site may contain links to Web sites that are not owned, operated or controlled by LX or their affiliates. All such links are provided solely as a convenience to you. If you use these links, you will leave this Web Site. Neither we nor any of our respective affiliates are responsible for any content, materials or other information located on or accessible from any other Web site. Neither we nor any of our respective affiliates endorse, guarantee, or make any representations or warranties regarding any other Web sites, or any content, materials or other information located or accessible from any other Web sites, or the results that you may obtain from using any other Web sites. If you decide to access any other Web sites linked to or from this Web Site, you do so entirely at your own risk. 10. DISCLAIMERS. YOUR USE OF THIS SITE IS AT YOUR RISK. THE INFORMATION, MATERIALS AND SERVICES PROVIDED ON OR THROUGH THIS WEB SITE ARE PROVIDED "AS IS" WITHOUT ANY WARRANTIES OF ANY KIND INCLUDING WARRANTIES OF MERCHANTABILITY, FITNESS FOR A PARTICULAR PURPOSE, OR NON-INFRINGEMENT OF INTELLECTUAL PROPERTY. 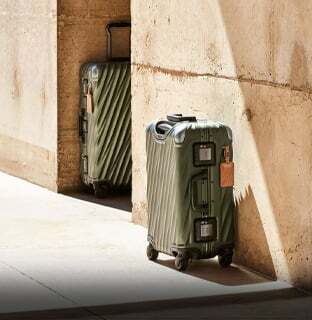 NEITHER TUMI, LX, NOR ANY OF THEIR RESPECTIVE AFFILIATES WARRANT THE ACCURACY OR COMPLETENESS OF THE INFORMATION, MATERIALS OR SERVICES PROVIDED ON OR THROUGH THIS WEB SITE. THE INFORMATION, MATERIALS AND SERVICES PROVIDED ON OR THROUGH THIS WEB SITE MAY BE OUT OF DATE, AND NEITHER TUMI, LX, NOR ANY OF THEIR RESPECTIVE AFFILIATES MAKES ANY COMMITMENT OR ASSUMES ANY DUTY TO UPDATE SUCH INFORMATION, MATERIALS OR SERVICES. THE FOREGOING EXCLUSIONS OF IMPLIED WARRANTIES DO NOT APPLY TO THE EXTENT PROHIBITED BY LAW. PLEASE REFER TO YOUR LOCAL LAWS FOR ANY SUCH PROHIBITIONS. 11. LIMITATIONS OF LIABILITY. Neither Tumi nor LX assumes any responsibility, or will be liable, for any damages to, or any viruses that may infect, your computer, telecommunication equipment, or other property caused by or arising from your access to, use of, or browsing this Web Site, or your downloading of any information or materials from this Web Site. IN NO EVENT WILL TUMI OR LX, OR ANY OF THEIR RESPECTIVE OFFICERS, DIRECTORS, EMPLOYEES, SHAREHOLDERS, AFFILIATES, AGENTS, SUCCESSORS OR ASSIGNS, NOR ANY PARTY INVOLXED IN THE CREATION, PRODUCTION OR TRANSMISSION OF THIS WEB SITE, BE LIABLE TO YOU OR ANYONE ELSE FOR ANY INDIRECT, SPECIAL, PUNITIVE, INCIDENTAL OR CONSEQUENTIAL DAMAGES (INCLUDING, WITHOUT LIMITATION, THOSE RESULTING FROM LOST PROFITS, LOST DATA OR BUSINESS INTERRUPTION) ARISING OUT OF THE USE, INABILITY TO USE, OR THE RESULTS OF USE OF THIS WEB SITE, ANY WEB SITES LINKED TO THIS WEB SITE, OR THE MATERIALS, INFORMATION OR SERVICES CONTAINED ON ANY OR ALL SUCH WEB SITES, WHETHER BASED ON WARRANTY, CONTRACT, TORT OR ANY OTHER LEGAL THEORY AND WHETHER OR NOT ADVISED OF THE POSSIBILITY OF SUCH DAMAGES. THE FOREGOING LIMITATIONS OF LIABILITY DO NOT APPLY TO THE EXTENT PROHIBITED BY LAW. PLEASE REFER TO YOUR LOCAL LAWS FOR ANY SUCH PROHIBITIONS. When you visit the Site, we may assign your computer one or more cookies, to facilitate access to the Site and to personalize your online experience. Through the use of a cookie, we also may automatically collect information about your online activity on our Site, such as the web pages you visit, the time and date of your visits, the links you click, and the searches you conduct on our Site. During your visits to other websites where we advertise, we (or third parties) may use certain data collected on our Site to show you the type of Tumi.com.au advertisements likely to be of greater interest to you. Although you may not opt out of receiving online advertisements generally, you may control the collection of data on our Site used for targeted advertising during your visits to other websites. To opt-out of data collection for targeted advertising on other sites, click here: Opt-Out Now. We may use third-party advertising companies to serve ads when you visit our Site. These companies may use information (not including your name, address email address or telephone number) about your visits to this and other Web sites in order to provide advertisements about goods and services of interest to you. If you would like more information about this practice and to know your choices about not having this information used by these companies, click here. We may share personal information that you provide to us through this Site or through this Site's Customer Service Department with our affiliates and service providers. In turn, our service providers may share this personal information with their affiliates and with service providers whom they engage to perform services related to this Site. Examples of these services include Web Site operation, payment processing and authorization, fraud protection and credit risk reduction, product customization, order fulfillment and shipping, customer service, marketing and promotional material distribution, data analysis and, where applicable, data cleansing. These service providers are authorized to use this personal information only in connection with the services they are engaged to perform. We may release personal information if we believe in good faith that: the law or legal process requires it; we have received a valid administrative request from a law enforcement agency or court; or such release is necessary to protect the rights, property or safety of Tumi, or any of our affiliates, service providers, customers or others. By using this Site, you acknowledge and consent to the fact that personal information provided by you or collected by us through your use of the Site is stored and processed by us in Australia where data protection laws may not afford the same level of protection as those of the country in which you are located. You also acknowledge and consent to the fact that we may, at our discretion, store and process such data in other countries (including countries outside the EEA) where data protection laws may not afford the same level of protection as those of the country in which you are located. There are several ways in which you can tell us whether or not you want to receive promotional communications from us. At certain locations on the Site, you will have choices to opt-out or opt-in to receive various types of communications. When you set up an account, or click on "Manage Your Account" within the Help Desk area, or place an order, you will have an opportunity to make or change your selections in this regard. You also will have an opportunity to change these selections by clicking on an "unsubscribe" hyperlink contained in promotional emails we send you. Your information will only be retained for as long as it is necessary to fulfill the purpose for which it was collected by Tumi, after which it will be destroyed. Our payment gateway WireCard supports Verified by Visa (VbV), a security technology that authenticates your Visa card and ensures that only the authorized cardholder is placing the order. If the bank that issued your Visa card supports VbV, you may be prompted to enter your password during Checkout. Our payment gateway WireCard supports MasterCard SecureCode, a security technology that authenticates your MasterCard card and ensures that only the authorized cardholder is placing the order. If the bank that issued your MasterCard supports SecureCode, you may be prompted to enter your password during Checkout. 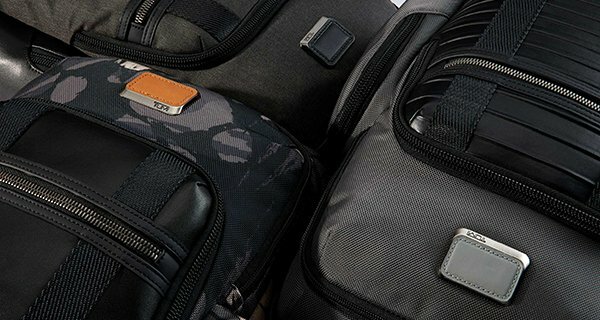 All features, content, specifications, products and prices of products and services described or depicted on this Web site, www.tumi.com.au (this "Web Site"), are subject to change at any time without notice. Certain weights, measures and similar descriptions are approximate and are provided for convenience purposes only. Valiram Global Concepts Sdn. Bhd., which operates this Web Site pursuant to agreements with Tumi, Inc., make all reasonable efforts to accurately display the attributes of our products, including the applicable colors; however, the actual color you see will depend on your computer system, and we cannot guarantee that your computer will accurately display such colors. The inclusion of any products or services on this Web Site at a particular time does not imply or warrant that these products or services will be available at any time. It is your responsibility to ascertain and obey all applicable local, state, federal and international laws (including minimum age requirements) in regard to the possession, use and sale of any item purchased from this Web Site. By placing an order, you represent that the products ordered will be used only in a lawful manner. All videocassettes, DVDs and similar products sold are for private, home use (where no admission fee is charged), non-public performance and may not be duplicated. The design of this Web Site and all text, graphics, information, content, and other material displayed on or that can be downloaded from this Web Site are protected by copyright, trademark and other laws and may not be used except as permitted in these Terms and Conditions or with prior written permission of the owner of such material. The software and other technology components of this Web Site are copyrigthed to Tumi, Inc. and its affiliate LV. All rights reserved. You may not modify the information or materials displayed on or that can be downloaded from this Web Site in any way or reproduce or publicly display, perform, or distribute or otherwise use any such information or materials for any public or commercial purpose. Any unauthorized use of any such information or materials may violate copyright laws, trademark laws, laws of privacy and publicity, and other laws and regulations. Certain trademarks, trade names, service marks and logos used or displayed on this Web Site are registered and unregistered trademarks, trade names and service marks of Tumi and its affiliates. Other trademarks, trade names and service marks used or displayed on this Web Site are the registered and unregistered trademarks, trade names and service marks of their respective owners, including LV and its affiliates. Nothing contained on this Web Site grants or should be construed as granting, by implication, estoppel, or otherwise, any license or right to use any trademarks, trade names, service marks or logos displayed on this Web Site without the written permission of LV. From time to time, this Web Site may contain links to Web sites that are not owned, operated or controlled by LV or their affiliates. All such links are provided solely as a convenience to you. If you use these links, you will leave this Web Site. Neither we nor any of our respective affiliates are responsible for any content, materials or other information located on or accessible from any other Web site. Neither we nor any of our respective affiliates endorse, guarantee, or make any representations or warranties regarding any other Web sites, or any content, materials or other information located or accessible from any other Web sites, or the results that you may obtain from using any other Web sites. If you decide to access any other Web sites linked to or from this Web Site, you do so entirely at your own risk. YOUR USE OF THIS SITE IS AT YOUR RISK. THE INFORMATION, MATERIALS AND SERVICES PROVIDED ON OR THROUGH THIS WEB SITE ARE PROVIDED "AS IS" WITHOUT ANY WARRANTIES OF ANY KIND INCLUDING WARRANTIES OF MERCHANTABILITY, FITNESS FOR A PARTICULAR PURPOSE, OR NON-INFRINGEMENT OF INTELLECTUAL PROPERTY. NEITHER TUMI, LV, NOR ANY OF THEIR RESPECTIVE AFFILIATES WARRANT THE ACCURACY OR COMPLETENESS OF THE INFORMATION, MATERIALS OR SERVICES PROVIDED ON OR THROUGH THIS WEB SITE. THE INFORMATION, MATERIALS AND SERVICES PROVIDED ON OR THROUGH THIS WEB SITE MAY BE OUT OF DATE, AND NEITHER TUMI, LV, NOR ANY OF THEIR RESPECTIVE AFFILIATES MAKES ANY COMMITMENT OR ASSUMES ANY DUTY TO UPDATE SUCH INFORMATION, MATERIALS OR SERVICES. THE FOREGOING EXCLUSIONS OF IMPLIED WARRANTIES DO NOT APPLY TO THE EXTENT PROHIBITED BY LAW. PLEASE REFER TO YOUR LOCAL LAWS FOR ANY SUCH PROHIBITIONS. ALL PRODUCTS AND SERVICES PURCHASED ON OR THROUGH THIS WEB SITE ARE SUBJECT ONLY TO ANY APPLICABLE WARRANTIES OF THEIR RESPECTIVE MANUFACTURES, DISTRIBUTORS AND SUPPLIERS, IF ANY. TO THE FULLEST EXTENT PERMISSIBLE BY APPLICABLE LAW, WE HEREBY DISCLAIM ALL WARRANTIES OF ANY KIND, EITHER EXPRESS OR IMPLIED, INCLUDING, ANY IMPLIED WARRANTIES WITH RESPECT TO THE PRODUCTS AND SERVICES LISTED OR PURCHASED ON OR THROUGH THIS WEB SITE. WITHOUT LIMITING THE GENERALITY OF THE FOREGOING, WE HEREBY EXPRESSLY DISCLAIM ALL LIABILITY FOR PRODUCT DEFECT OR FAILURE, CLAIMS THAT ARE DUE TO NORMAL WEAR, PRODUCT MISUSE, ABUSE, PRODUCT MODIFICATION, IMPROPER PRODUCT SELECTION, NON-COMPLIANCE WITH ANY CODES, OR MISAPPROPRIATION. WE MAKE NO WARRANTIES TO THOSE DEFINED AS "CONSUMERS" IN THE MAGNUSON-MOSS WARRANTY-FEDERAL TRADE COMMISSION IMPROVEMENTS ACT. THE FOREGOING EXCLUSIONS OF IMPLIED WARRANTIES DO NOT APPLY TO THE EXTENT PROHIBITED BY LAW. PLEASE REFER TO YOUR LOCAL LAWS FOR ANY SUCH PROHIBITIONS. Neither Tumi nor LV assumes any responsibility, or will be liable, for any damages to, or any viruses that may infect, your computer, telecommunication equipment, or other property caused by or arising from your access to, use of, or browsing this Web Site, or your downloading of any information or materials from this Web Site. IN NO EVENT WILL TUMI OR LV, OR ANY OF THEIR RESPECTIVE OFFICERS, DIRECTORS, EMPLOYEES, SHAREHOLDERS, AFFILIATES, AGENTS, SUCCESSORS OR ASSIGNS, NOR ANY PARTY INVOLVED IN THE CREATION, PRODUCTION OR TRANSMISSION OF THIS WEB SITE, BE LIABLE TO YOU OR ANYONE ELSE FOR ANY INDIRECT, SPECIAL, PUNITIVE, INCIDENTAL OR CONSEQUENTIAL DAMAGES (INCLUDING, WITHOUT LIMITATION, THOSE RESULTING FROM LOST PROFITS, LOST DATA OR BUSINESS INTERRUPTION) ARISING OUT OF THE USE, INABILITY TO USE, OR THE RESULTS OF USE OF THIS WEB SITE, ANY WEB SITES LINKED TO THIS WEB SITE, OR THE MATERIALS, INFORMATION OR SERVICES CONTAINED ON ANY OR ALL SUCH WEB SITES, WHETHER BASED ON WARRANTY, CONTRACT, TORT OR ANY OTHER LEGAL THEORY AND WHETHER OR NOT ADVISED OF THE POSSIBILITY OF SUCH DAMAGES. THE FOREGOING LIMITATIONS OF LIABILITY DO NOT APPLY TO THE EXTENT PROHIBITED BY LAW. PLEASE REFER TO YOUR LOCAL LAWS FOR ANY SUCH PROHIBITIONS. IN THE EVENT OF ANY PROBLEM WITH THIS WEB SITE OR ANY CONTENT, YOU AGREE THAT YOUR SOLE REMEDY IS TO CEASE USING THIS WEB SITE. IN THE EVENT OF ANY PROBLEM WITH THE PRODUCTS OR SERVICES THAT YOU HAVE PURCHASED ON OR THROUGH THIS WEB SITE, YOU AGREE THAT YOUR SOLE REMEDY, IF ANY, IS FROM THE MANUFACTURER OF SUCH PRODUCTS OR SUPPLIER OF SUCH SERVICES, IN ACCORDANCE WITH SUCH MANUFACTURER'S OR SUPPLIER'S WARRANTY, OR TO SEEK A RETURN AND REFUND FOR SUCH PRODUCT OR SERVICES IN ACCORDANCE WITH THE RETURNS AND REFUNDS POLICIES POSTED ON THIS WEB SITE. Choice of Law; Jurisdiction. These Terms and Conditions supersede any other agreement between you and Tumi or Valiram Global Concepts to the extent necessary to resolve any inconsistency or ambiguity between them. These Terms and Conditions will be governed by and construed in accordance with the laws of Australia, without giving effect to any principles of conflicts of laws. Any action seeking legal or equitable relief arising out of or relating to this Web Site will be brought only by Australian courts.